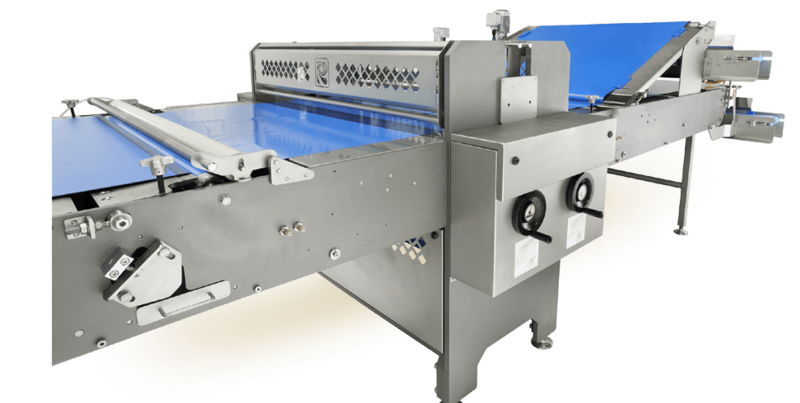 The Thomas L. Green Rotary Cutting Station accurately and continuously cuts distinct product shapes out of a single dough sheet. 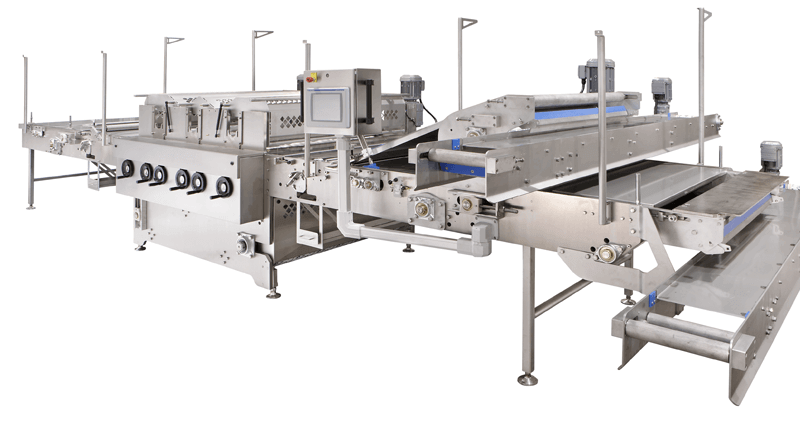 An integrated conveyor system moves product through - and is pressured against - a rotating die assembly. 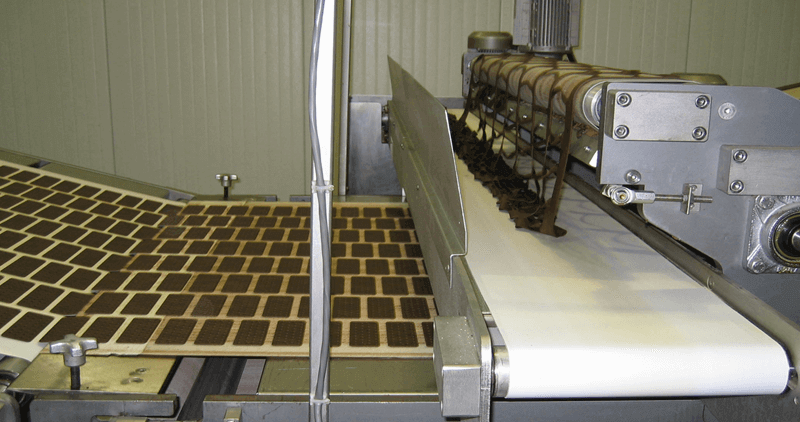 Operators can adjust the pressure on the dough sheet during operation to ensure a thorough cut and consistent piece production. May be designed with two or more die rolls for complex shape production or used independently for different products on the same line. Integrated scrap removal system may be mounted on the discharge end of the machine. 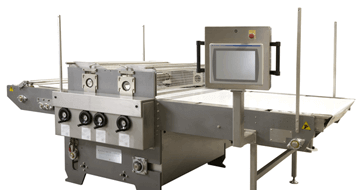 Scrap dough can be discharged and re-routed to the dough handling system for reuse. The gap between the conveyor and die roll and the pressure exerted on the conveyor belt are adjustable. 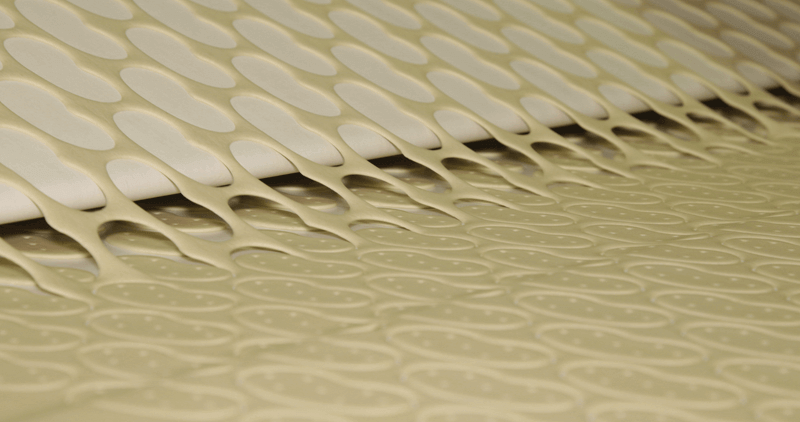 Dough sheet thickness is typically between .89mm (.035") and 1.65mm (.065") prior to cutting, but thicker sheets may be accommodated.